-An introduction to the general field of counseling from the Biblical point of view, including basic principles of human nature, techniques for studying human behavior, and introduction to the use of Scripture in counseling. -A study of the place, principles, practices and power of prayer as the essential aspect of Christian experience, culminating in the student's opportunity to strengthen his personal prayer life. -An analysis of the psychological methodology expressed in modern secular counseling in comparison and contrast to Nouthetic (Biblical) counseling. -An examination of the counseling theories of prominent christian psychiatrist, psychologists, and counselors such as Jay Adams, Gary Collins, Larry Crabb, Frank Minirth, Charles Solomon, and others. Students will be guided toward the development of a distinctly Christian-Biblical counseling philosophy. -The art of sermon preparation and delivery, including Scripture reading, focusing on expository preaching. -A survey of the types of writing available for ministry and a study of the development of skills appropriate for those varied fields. -An overview of the history. philosophy and methodology of ministering to the youth of our society and churches, with special emphasis on evangelistic and discipleship programs and strategies. -The study of the essential qualities and characteristics of the effective Youth Pastor. Building on the foundational truths of I Timothy 4:12; this study emphasizes that the youth pastor must be a Godly person before he can have a successful youth ministry. It includes guidelines for the youth pastor's relationship to the pastor, to the church leadership, to parents, to the congregation and to the youth entrusted to him. -The study of crucial issues facing today's youth. The course includes such problems a peer pressure, friendship, dating, sexual promiscuity, music, drugs and drinking. -A study of the administrative responsibilities in church ministry. Covering the basic elements of leadership, time management, planning, activating, motivation, and delegation. The emphasis is on the Biblical framework enabling students to focus on the centrality of the Scriptures for all aspects of Christian leadership. 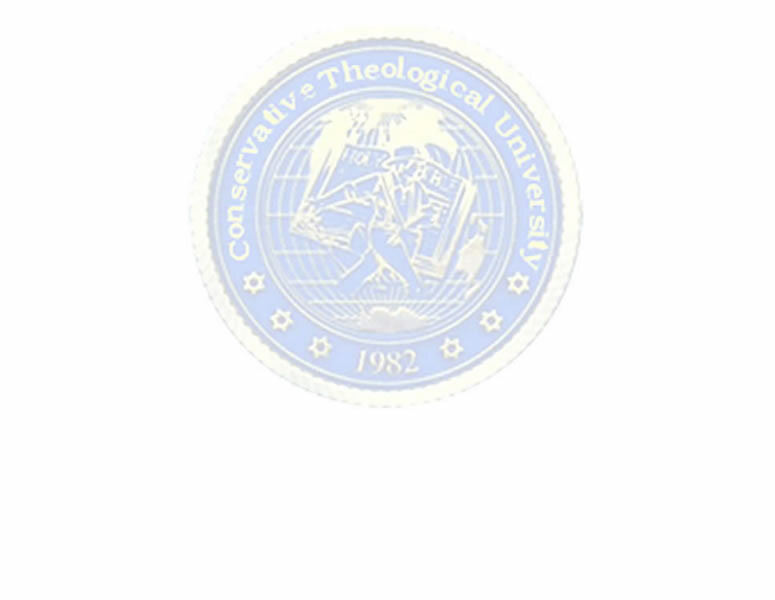 -A study of basic counseling skills employed in the setting of the pastoral ministry with emphasis on understanding the principles and techniques of counseling. -A study of the call, qualifications and work of the pastor as visitor, counselor, preacher, teacher and administrator. Instruction in administering church ordinances, weddings, funerals, and overview of church policy.